Last Friday, I have officially reached the farthest point down South in Metro Manila to cover an event. 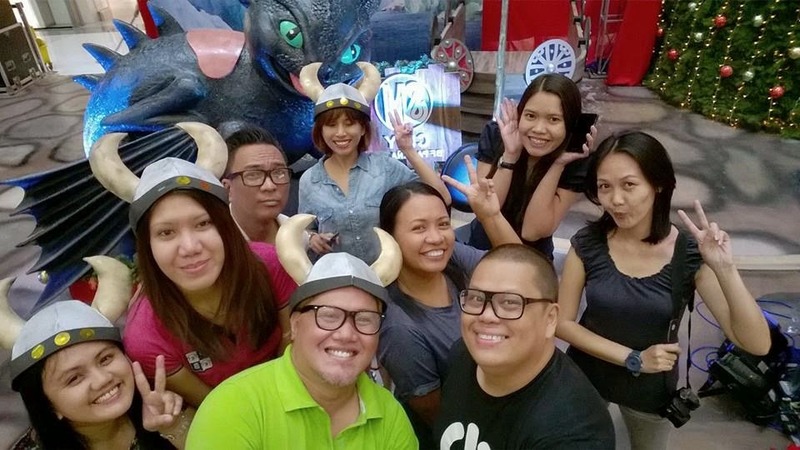 SM City Paranaque and Toothless (How to Train Your Dragon) welcomed me to a festive Holiday Village for this year's Holiday Exhibit! The Main Atrium was magically transformed into the mytical Viking Village of Berk, where mall-goers can cuddle up to Toothless the dragon or sail off aboard the Viking ship. When we say, Vikings.. there were Vikings! The fun Vikings gave away fun hats to the kids (and adults!). The village also features a 24-foot Christmas that stands as a focal of the SM BF Paranaque's main atrium. The Company joined us in the event and sang cheerful Christmas songs! I am finally feeling the Holiday Season (a bit late right? It used to be all fun and glory at the start of the -ber months). The event was attended by officials from city government of Paranaque, media friends and of course, Sta Claus! It was awesome to see the kids line up to meet and greet the old guy. The most exciting part is the unveiling the village - and there came in - Toothless! Kids and adults would get a chance to have their picture taken with the How to Train Your Dragon star! The Holiday Village will be up from November to January 4, 2015 at the SM BF Paranaque, Atrium. Other SM Malls would also put up different exhibits featuring our favorite cartoon characters to celebrate Holidays with kids (and adults)! Catch Sta Claus at 5PM for a Meet-and-Greet Session on December 12, 19, and 21.